The first UCL Iinterdisciplinary Medieval And Renaissance Seminar of 2016 will be held at 6.15pm Monday 18 January 2016. 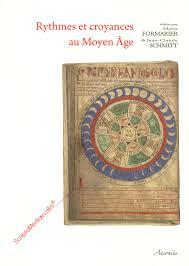 Professor Jean-Claude Schmitt will be presenting his new book, Les rythmes au Moyen Âge (Rhythms in the Middle Ages). Unlike previous UCL IMARS seminars this will take place in the Institute of Advanced Studies, UCL in the Common Ground, South Wing, Wilkins Building, UCL. It will, of course, be followed by a wine reception. This entry was posted in Lecture series, Publications, Upcoming Events and tagged book launch, events, seminars on December 14, 2015 by itedbury.